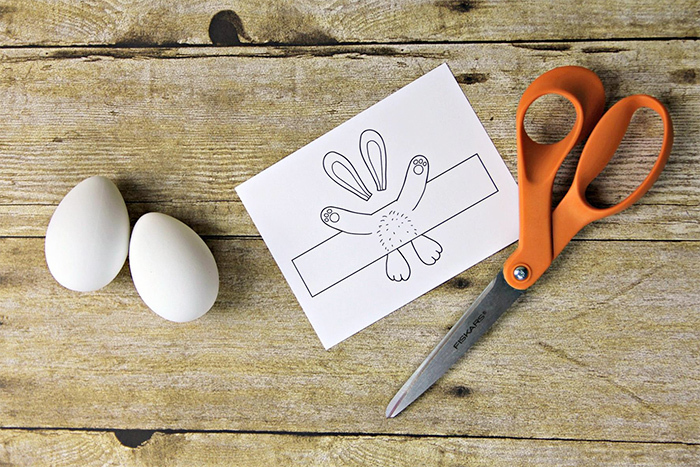 Easy Easter craft for kids | Eggheads revisited! 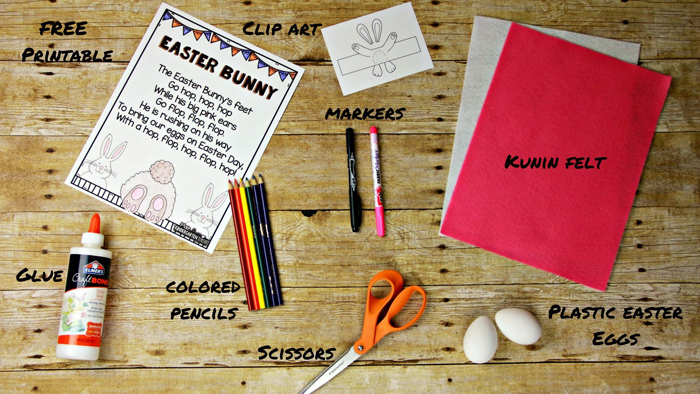 Chad from Male Kindergarten Teacher shared a fun Easter kids’ craft over on the Kunin Felt blog recently that I just had to tell you about too! 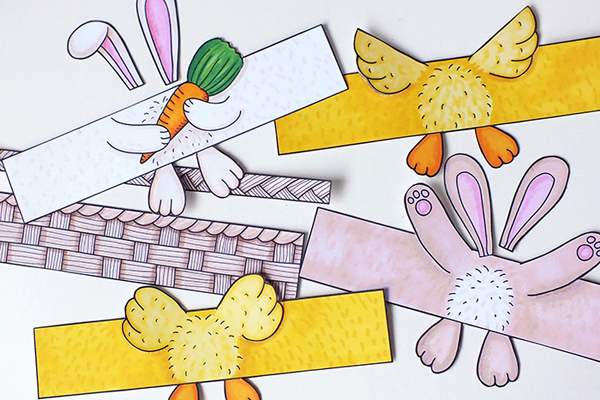 He used some felt, markers and craft materials to put a totally different spin on my Eggheads Easter printables! 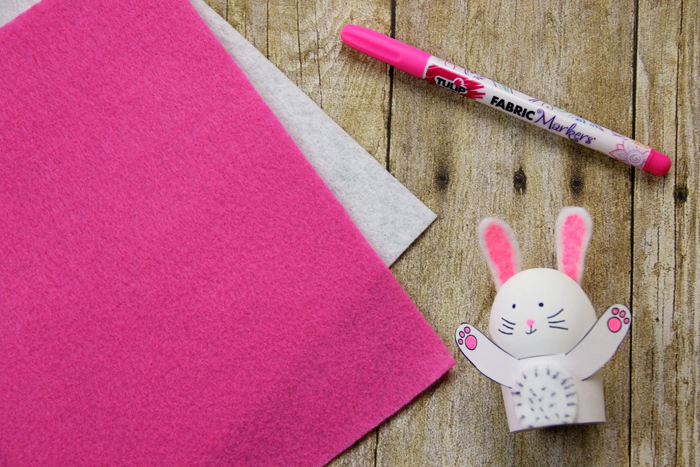 Instead of colouring in all the printable, Chad added a few details with marker pen and then added some felt for a super cute tummy on his bunny, and some felt bunny ears! 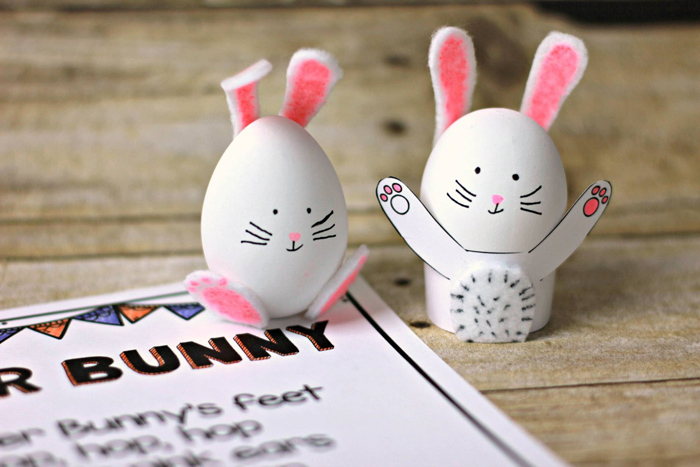 What a great way to add a more tactile quality to these paper egg wraps! 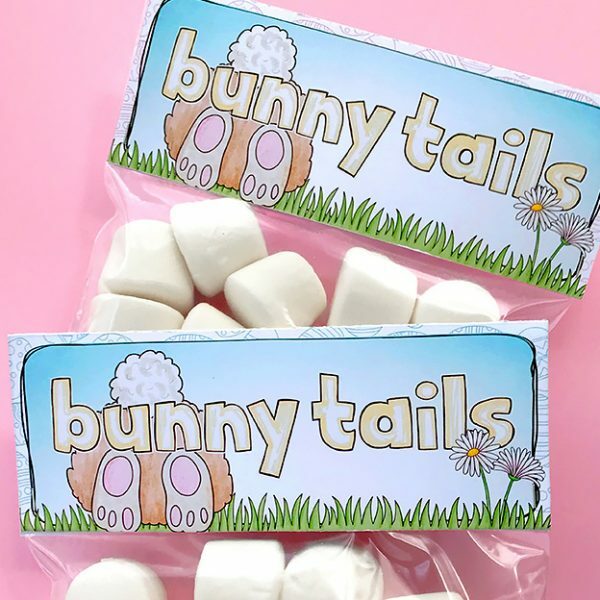 You could also add some felt feet, or a felt nose on your bunny too. 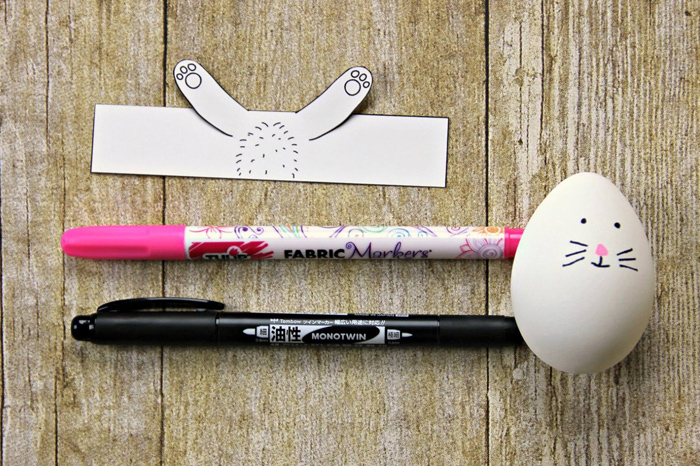 Or maybe some craft feathers on the chick egg-wrap, or some ribbon on the handle of the basket. 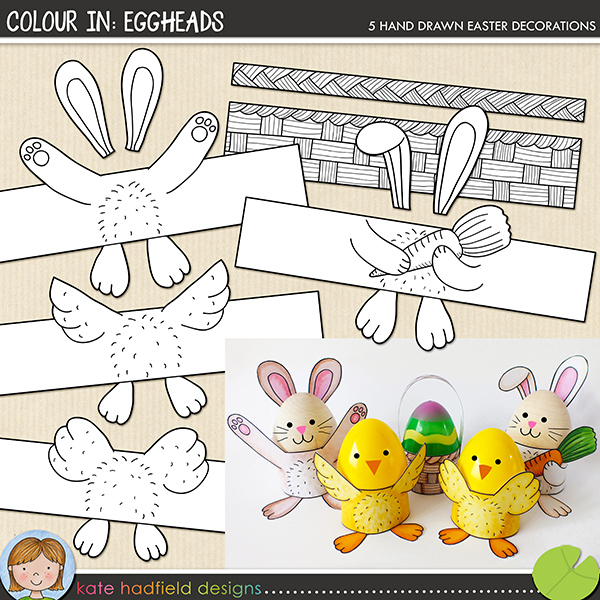 If you don’t have any felt or feathers handy, you could always just colour in the egg wraps like I did! 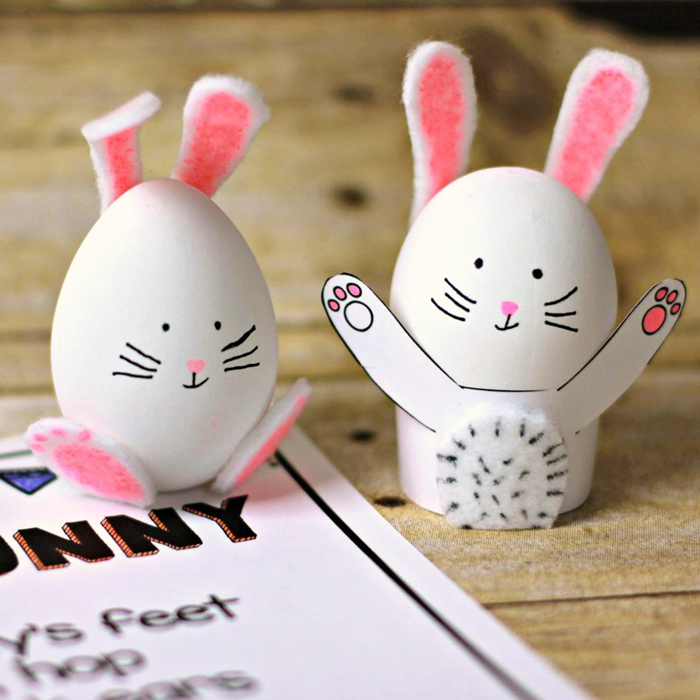 The Eggheads printables are available in both a blank colour-it-yourself version (like Chad used here!) 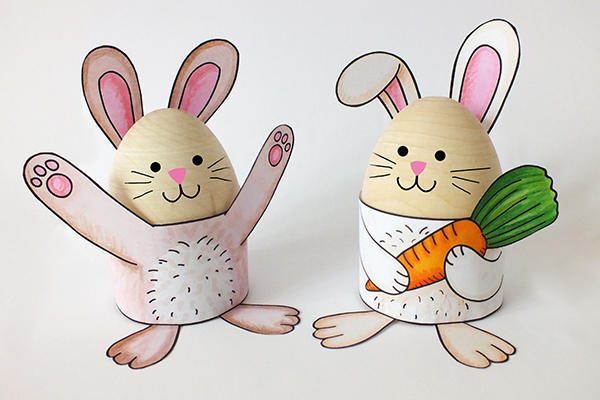 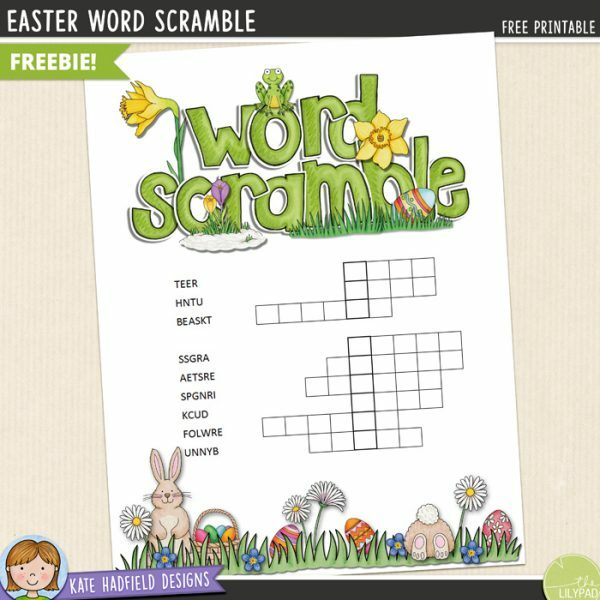 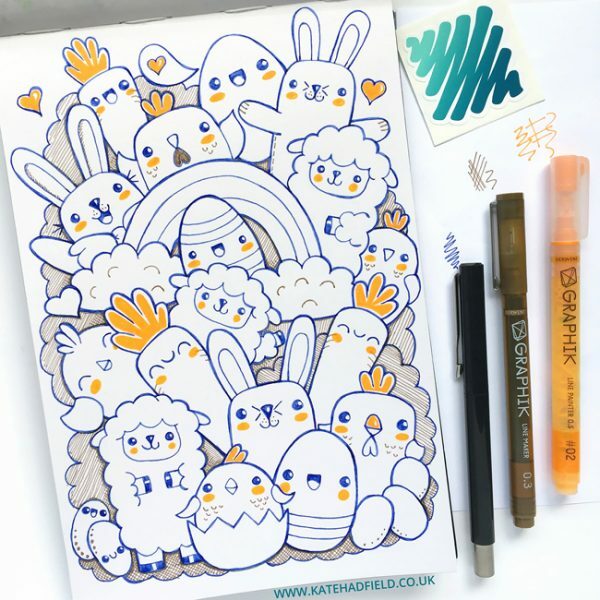 and a pre-coloured version for a quick and easy craft for the kids this Easter. 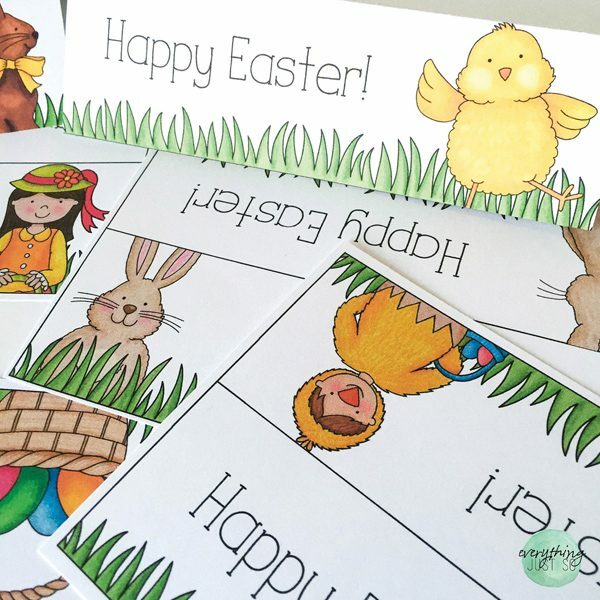 If you’ve used them with your class or your own children, I’d love to see your finished egg wraps!